Using the sensor is easy. For example, if you're using an Arduino, simply connect the VIN pin to the 5V voltage pin, GND to ground, SCL to I2C Clock (Analog 5) and SDA to I2C Data (Analog 4). 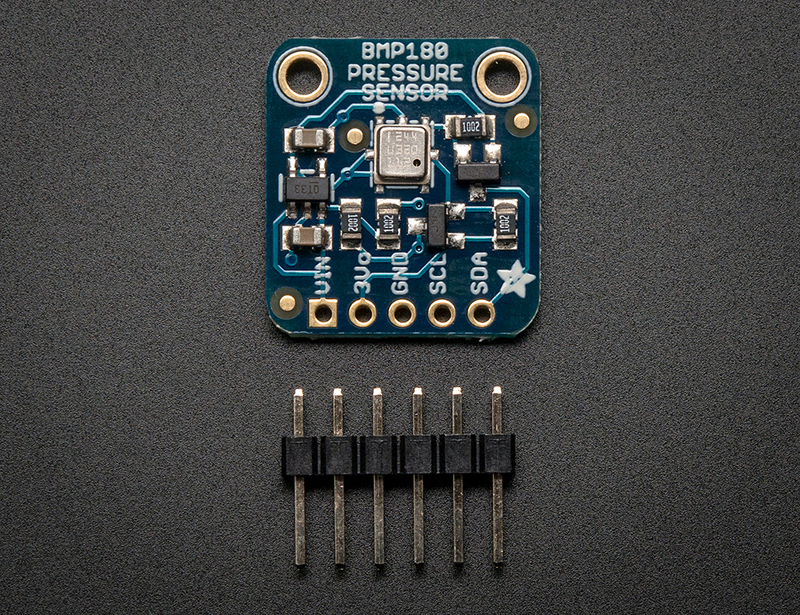 Then download our BMP085/BMP180 Arduino library and example code for temperature, pressure and altitude calculation. Install the library, and load the example sketch. 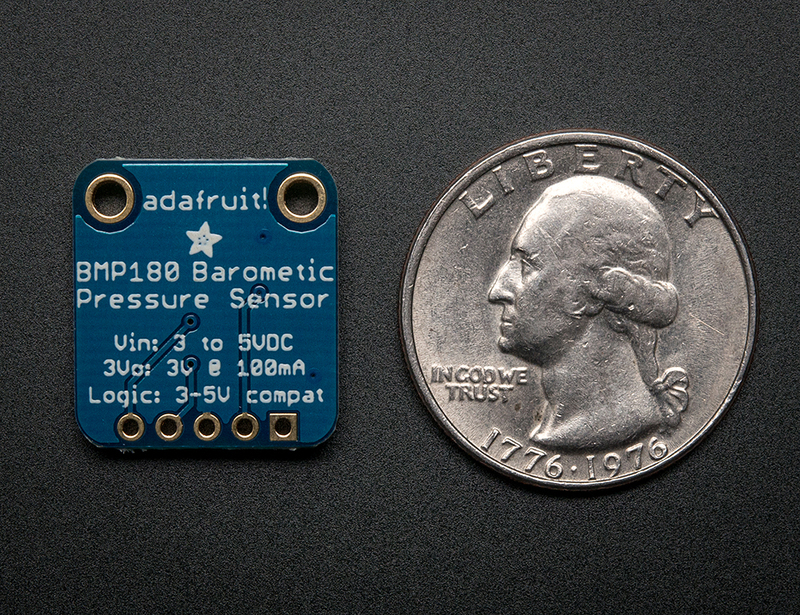 Immediately you'll have precision temperature, pressure and altitude data. Our detailed tutorial has all the info you need including links to software and installation instructions. 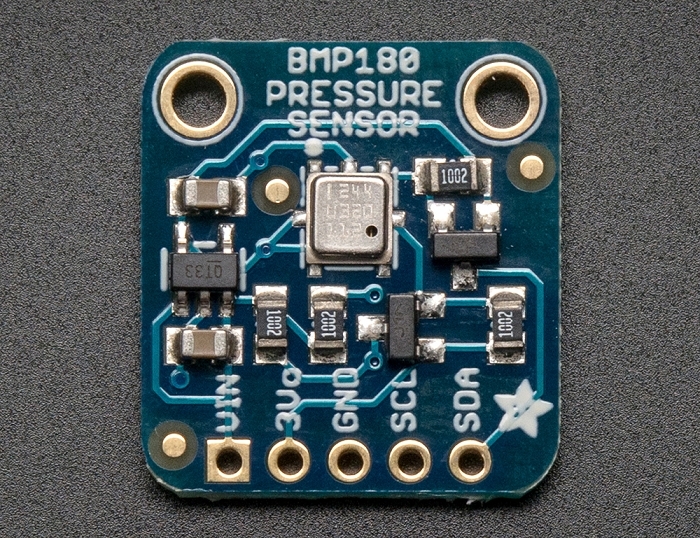 It includes more information about the BMP180 so you can understand the sensor in depth including how to properly calculate altitude based on sea-level barometric pressure.